Home to beautiful baroque architecture, impressive grand palaces and a rich history of producing classical music legends, Austria’s capital of Vienna is quite the holiday destination. This imperial city is packed with things to see and do, and the list is never-ending. Historians will delight at the endless museums housing imperial art collections and national treasures; culture vultures can explore the cities palaces and cathedrals while families can enjoy a trip to Madame Tussauds to pose with the wax figurines. When it comes to getting around Vienna, it couldn’t be more simple thanks to the efficient public transport system and all-inclusive transport passes. From hop-on-hop-off buses to the metro, making your way from one attraction to the next has never been easier, and once you’re ready to venture out of the city limits, there’s plenty of coach tours, and boat rides to transport you to the surrounding countryside. To save you time we’ve price-compared tours in Vienna and have compiled a list of our favourite trips in and around the city, complete with our top tips, customer reviews and instructions on how to get there. A 3 hour 30 minute excursion to Schönbrunn Palace with a sightseeing coach ride down the Ringstrasse boulevard. 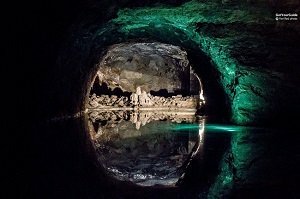 A group tour with an experienced and knowledgeable guide. An opportunity to learn about the Palace's history and former residence, the Hapsburg monarchs. Meet at Sudtiroler Platz (or the Vienna State Opera) and travel by coach to Schönbrunn Palace. Tour the Palace's interior and enjoy free time in surrounding grounds. Enterance to Schönbrunn Palace (with queue jump privileges) and transport by sightseeing coach. What Travellers Say About It:This tour has a 4.2-star ranking on Get Your Guide. Most travelers say the guides are well organised, efficient and knowledgeable. Great for people who want to explore Vienna by coach and learn the history of the Schönbrunn Palace. 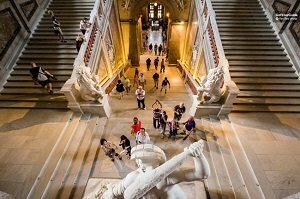 A one, two, three or six day pass to visit Vienna's most popular and talked about attractions along with unlimited rides on the cities hop-on-hop-off buses. Queue jumping at some of the listed attractions. An easy way to explore the cities the best attractions at a discounted rate. Head to the Vienna Pass Customer Service Centre and pick up your Vienna Pass. Jump on one of the cities hop-on-hop-off buses to make your way around town. Visit Vienna's best attractions and enjoy queue jump privileges. An all inclusive sightseeing pass. Unlimited rides on hop-on-hop-off buses. Customers agreed the pass is “worth your money”. The pass is “useful for visiting multiple attractions”. Perfect for those who like busy days packed with attractions. Great for those looking to save money on passes. 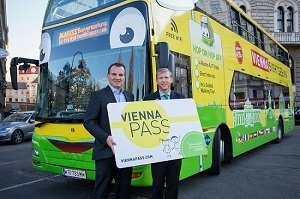 A transport card to make free use of Vienna's inner city bus, tram and metro lines. A complimentary book of coupons offering discounts on some of the cities best attractions. 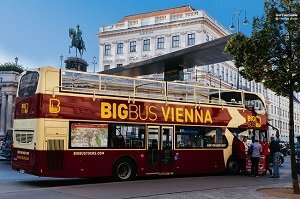 Hop on and off Vienna's public transport systems as you visit the cities historical and culture filled attractions. Use your coupons to enjoy discount at Hofburg Palace, Schönbrunn Palace and many other fabulous attractions. Explore the city at complete ease for free!. Unlimited use of the cities public transport systems. Enjoy discounts at over 200 attractions across the city. Free transport to the airport is not included. Perfect for those wanting to explore the city efficiently. Great for families thanks to the discounted children's tickets. Perfect aid for those looking to hop from attraction to attraction easily. Single airport transfer via train from Vienna International Airport to Wien-Mitte in the city centre. Comfortable and efficient train journey taking only 16 minutes. Seat onboard the City Airport Train and use of the onboard WIFI, usb ports and free newspapers. Follow the signs at Vienna International Airport down to the CAT station. Board the city train with your luggage. Sit back, relax and enjoy the speedy trasnfer into the city. 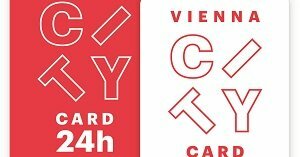 One way transfer train ticket from Vienna International Airport to the city (return ticket is optional extra). Seat in one of the double-decker train carriages. Customers called the journey "comfortable and efficient".. Many consider it to be the best way to transfer into the city. Onboard facilites have been described as "clean and accomodating". Perfect for those happy to share a public transfer into the city. Great for those in a rush to start their holiday. Super easy for families to transfer from A to B. An audio tour of vienna's national monument, St.Stephen's Cathedral. Explore the churches North and South tower and underground catacombs. 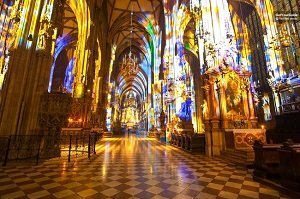 An oppertunity to learn about the cathedral's history and Vienna as a religious city. Head inside St.Stephen's Cathedral and explore this beautiful place of worhip, learning about it's history as you go. Climb to the top of the North tower to enjoy scenic views out over old town Vienna. Visit the cathedral's catacoombs found below the building. Doesn't inlude optional donation to the church. Customers calling it a "must do tour". Many considered it an educative experience. Great for history buffs and culture vultures. Perfect for those on a budget but set on seeing one of Vienna's most popular monuments. A 24 hour unlimited ticket to ride on the cities hop-on-hop-off buses. Quick and efficent transportation around Austria's bustling capital city. Includes an audio guided tour onboard the bus. Hop-on-hop-off the bus at any of the stops around town. Make your way around the city ticking off all the best attractions, museums and restaurants as you go. Make use of the buse lines that go further afield and venture out into the countryside around Vienna. Unlimited access onto the hop-on-hop-off buses for 24 hours. A free on-board audio guide. A complimentary walking tour of the city departing from the State Opera. Buses are frequent and reliable and arrive every 15 minutes. It provides a great way to get your bearings in the city. Bus crew and staff were both friendly and helpful. Great for those wanting to fit multiple attractions into one day. Perfect for families thanks to the onboard childrens audio channel. Ideal for those trying to get their bearings in the city. A night with the Vienna Mozart Orchestra. Enjoy a 2hour 30 minute performances from famous singers as they recreate some of Mozart's best opera's. A culture filled evening of period costumes and impressive overtures. You'll be transported back to the 18th century to enjoy a recreation of Mozart's finest pieces. Sit back and listen to international opera singers perform overtures and duets. 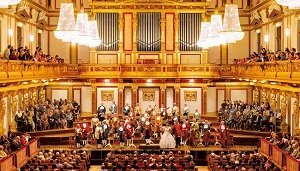 Admire the grandure of the Wiener Musikverein Concert Hall. Free anniversary CD of the Vienna Mozart Orchestra. Ticket doesn't include the programme. The concert has been rated 4.5 stars on Tripadvisor. Described as an excellent acoustic experience. Considerd a great way to spend an evening in the city. Suitable for culture vultures, historians and music lovers alike. Young children may get restless. The Salonorchester Alt Wien Orchestra is one of the cities finest orchestras. It's made up of talented musicians, opera-singers and soloists. Featuring works from Austrian composers Stauss and Mozart. Dress up to the nines and prepare for a night of classical music. Enjoy a 90 minute performance at the Kursalon Concert Hall. Listen to famous waltzes, polkas and duets from Mozart and Stauss. Transportion, drinks and snacks are not included..
Cloakroom is an optional extra. Ranks 4 stars on Tripadvisor. Perfect for historians, culture vultures and music lovers alike. Not advised for small children as they may become restless. A fine art museum and one of Vienna's most popular attractions. Built by Emperor Franz Joseph and opened in 1891. Home to an array of art collections spreading over five millenia. Explore the museums collection of fine art. Check out works by Rembrandt and Rubens. Rated 4.5 stars on Tripadvisor. Home to an impressive collection of art. Great for historians, art-lovers and culture vultures..
Architects will admire the buildings grandure. 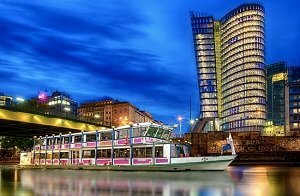 An evening sightseeing cruise down the River Danube. Spend the evening on the second longest river in Europe. One of Vienna's must do attractions.. Climb aboard the boat at Schwedenplatz pier and prepare for a relaxing evening. Cruise down the Danube in style enjoying beverages from the bar as you go. Dine on an Austrian buffet and enjoy live music onboard late into the evening. Rated 3.5 stars on Tripadvisor. Great views of the city. Great for those wanting to see the city from a different point of view. Perfect for an authentic Austrian experience. Madame Tussauds is a world-renowned museum that's been open across the globe for over 150 years. The museum home to life size wax figurines of famous people throughout history including celebrities, musicians, scientists and sports players. The Vienna branch was opened in 2011 by former Austrian President, Heinz Fischer, and is located in the cities oldest amusement park; Vienna Prater. Enjoy queue jump priorities as you head inside the museum. 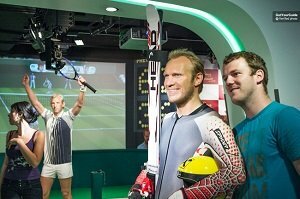 Get up close and personal with famous figures in their waxwork forms..
Take your time exploring the museums three sections; Hollywood, history and sports. Madame Tussauds Vienna is rated 4 stars on Tripadvisor. Customers noted the wax figures looked "amazing". And that the museum provided a "great experience"for young and old alike! Teenagers will particularly enjoy the 21st century wax figures. t's possibly the world's most unique aquarium as it's housed in an 11-storey high former WWII bunker. 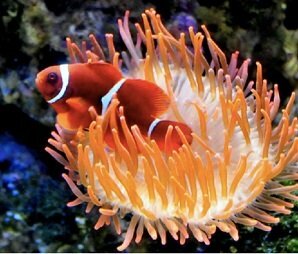 You'll find over 10,000 land and sea creatures inside, each living in an array of different re-created habitats including the Amazon rainforest, the Tropical House and the Coral Reefs..
Customers noted the 'interactive aquarium' was a big highlight. A 'great indoor activity for all the family'. Great entertainment for families with young children. .
A three hour guided cycling tour around the capital, sticking to cycle paths and less congested roads. This circular tour is a great way to explore the city in an alternative manner, learning about Vienna's history as you go. An opportunity to see some of Vienna's most impressive buildings, landmarks and parks. 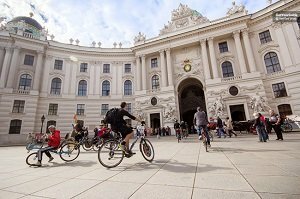 Set out on a guided bike tour around central Vienna, stopping outside some of the cities most famous landmarks. Check out the Austrian Parliament Building, the Hofburg Imperial Palace and St. Stephen's Cathedral to name a few..
Let your guide explain the history of the city and give a detailed overview of the local landmarks. Drinks and snacks not provided. The guides are incredibly knowledgable. The tour provided a great way to see the historical sights of Vienna. Prfect for active travellers who want an alternative way to explore the city. Only suitable for children over the age of 12. The Albertina Museum is one of Europe's finest art houses, home to around 65,000 drawings and more than 1 million prints. The museum sits inside one of the Habsburg residential palaces, one of the most classical palaces in Europe. The museum is home to the biggest and most valuable graphical collection in the world. Discover the Albertina's extensive collection of impressionist and 20th century art. Check out the works of Picasso, Da Vinci and Klimt as you explore the collections. Take a peak at the lavish Habsburg Palace state rooms. Admission to museum and state rooms. 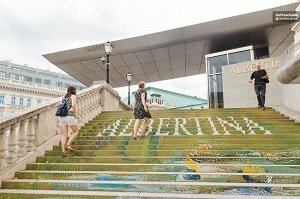 The Albertina Museum is rated 4.5 stars on Tripadvisor. Home to a "wonderful display of modern art". "A great place to spend a Sunday afternoon in Vienna". Art-lovers, architects and photographers alike will delight at the museums vast collections. Vienna's Spanish Riding School is a fine establishment and upholds high standards of classic equitation. The riding school has been operation for over 450 years. The school follows the Renaissance traditions of the Haute Ecole (a listed UNESCO cultural heritage) and is the only institution in the world to still continue to practice this style. Take an exclusive hour long tour around the Spanish Riding School for a behind the scenes look at horses in action. 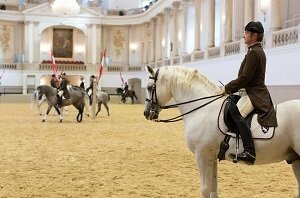 Learn about the history of Lipizzaner stallions in Austria and the equestrian traditions used. Visit in winter to admire the baroque architecture. Morning exercise tickets not included. The Spanish Riding School tour is rated 3.5 stars on Tripadvisor. With customers calling it an "informative tour that traces the history of the riding school". Many were impressed with the buildings grandure. Great for those with a love of all things equestrian. Perfect for those who'd like to learn more about the famous riding school. A good way to admire the Stallburg building! A day trip to Bratislava, the capital of Slovakia, travelling on both bus and boat. The bus is a modern and comfortable air-conditioned coach while the boat is an impressive high-speed catamaran. Bratislava is a picturesque town brimming with history, culture and quaint narrow lanes perfect for exploring on foot.. Enjoy a guided day trip to neighboring Slovakia. Take the bus from Vienna to Bratislava (approximately 1 hour). Explore the Old Town on foot. Walking tour of the city. 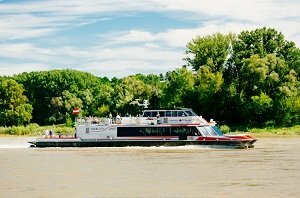 Return to Vienna on a Twin City Liner boat. The Bratislava Day Trip tour is rated 4 stars on Tripadvisor. "A nice way to explore Bratislava at your own pace". "A good introduction to the cities highlights". Great for those wanting to make the most of their trip. Perfect for the intrepid explorer. History lovers and culture seekers will delight at Slovakia's capital. 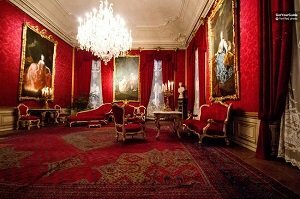 The Vienna Woods and Mayerling Half-Day tour is rated 4.5 stars on Tripadvisor. "A great escape from the city". A romantic 8 hour bus and boat tour of the Wachau and Danube Valley. The most picturesque part of the impressive Danube Valley lies between the towns of Krems and Melk. The Wachau Valley is listed as a UNESCO World Heritage Site thanks to its impressive architectural and agricultural history. Depart from Vienna early ready for a great day out exploring the Danube River and the valley's formations. Cruise along the river taking in the scenic valley views that boast rolling vineyards, old fortifications and quaint little villages. Visit the Benedictine Abbey of Melk and stop off for lunch at the local restaurant (time dependent). Enterance fee to Abbey of Melk.. The Wachau and Danube Valley tour is rated 3 stars on tripadvisor. "The tour was packed full with history". "A good introductory tour of wider Vienna's highlights. Great for those itching to get out of the city and explore the state of Vienna further. History buffs will enjoy the imperial history lessons.